She welcomed her second child less than a year ago. Yet Billie Faiers proved she’d had no trouble snapping straight back into shape as she shared a series of sizzling bikini snaps from her holiday in The Maldives. 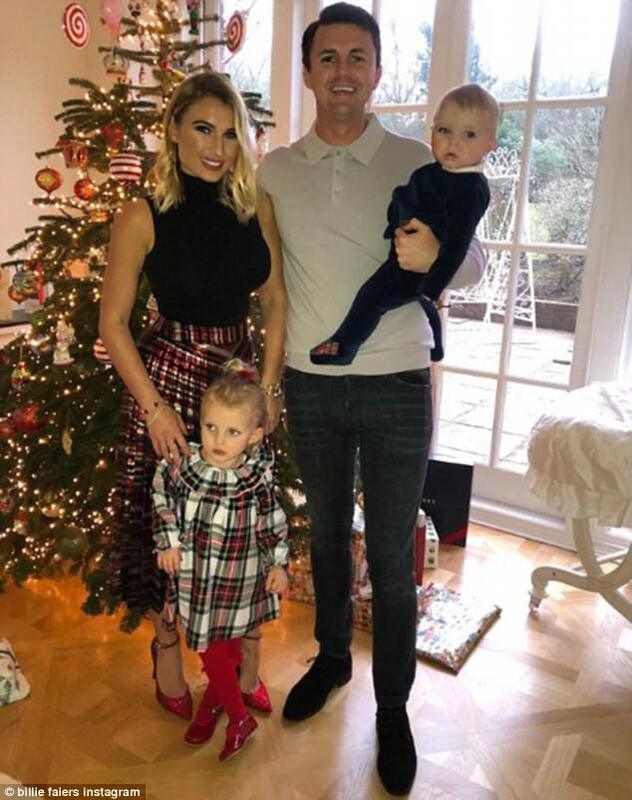 The 27-year-old former TOWIE star looked sensational as she posed up a storm at luxury Maldivian resort, Kuramathi, with her fiance Greg Shepherd and their children, Nelly, three, and Arthur, 10 months. Billie looked sensational as she flaunted her hourglass curves in a skimpy blue bikini that showed off her ample bust and tiny waist. The blonde bombshell proved she was a nautral beauty as she went make-up free whilst keeping her accessories simple with just a pair of wayfarer sunglasses. In another stunning shot, the mother-of-two donned a black bikini that offered a look at her impeccably toned abs as she posed up a storm on the beach. Proving that she looks incredible from all angles, the reality starlet also took to Instagram to share a snap of her peachy posterior as she posed from behind whilst clad in a skimpy red swimsuit. Billie joined The Only Way Is Essex alongside her sister Sam in series two (2011) and left five years later after series 18. The reality TV show documented her pregnancy, and her daughter Nelly made her first on-camera appearance as a newborn. Billie has defended her decision to put Nelly in front of the camera at such a young age, and insisted Nellie will tell her if she doesn’t want to be on screen. She recently told FEMAIL: ‘I think for us we kind of feel like we’ve got the best home movies ever, so much is there. She’s now getting used to seeing herself. ‘The other day I was showing her a magazine and there were pictures of her and she’s so intrigued it’s hilarious. Billie went on to call on other mums to be more supportive of each other, but admitted there would always be those with negative comments to make. Source:Billie Faiers flaunts her sensational figure in an array of skimpy bikinis as she soaks up the sun in The Maldives by Celebrity – Maldives News.